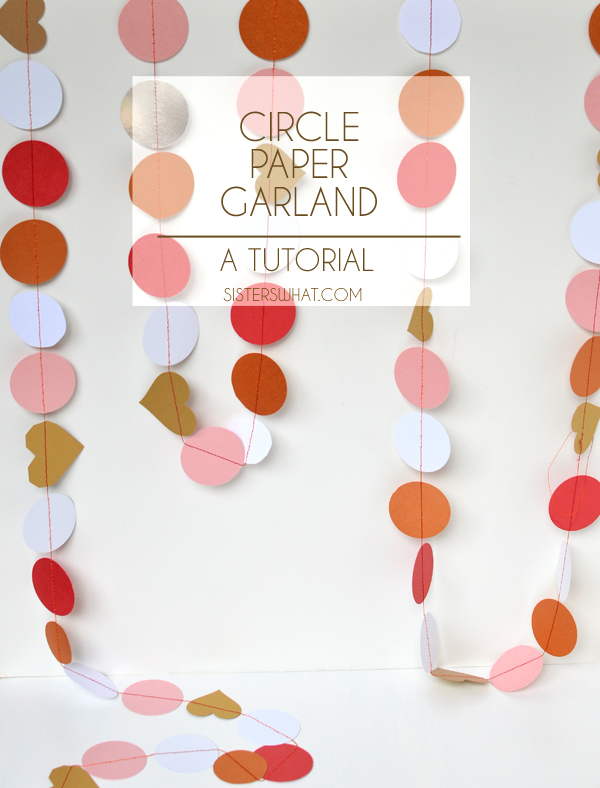 ' Circle Paper Garland - A Tutorial - Sisters, What! A friend of mine made this really awesome circle banner for party and I suddenly had to do it too. Plus, it gave me an excuse to buy a fiskar circle punch : ). It was crazy how easy it was to make these streamers. I've never sewn on paper before, but it was kind of fun. My favorite part is that I can make some for each holiday if I wanted to. ||1|| Punch out your circles. For the blue, purple and green streamers, I used one piece of card stock for the whole streamers. 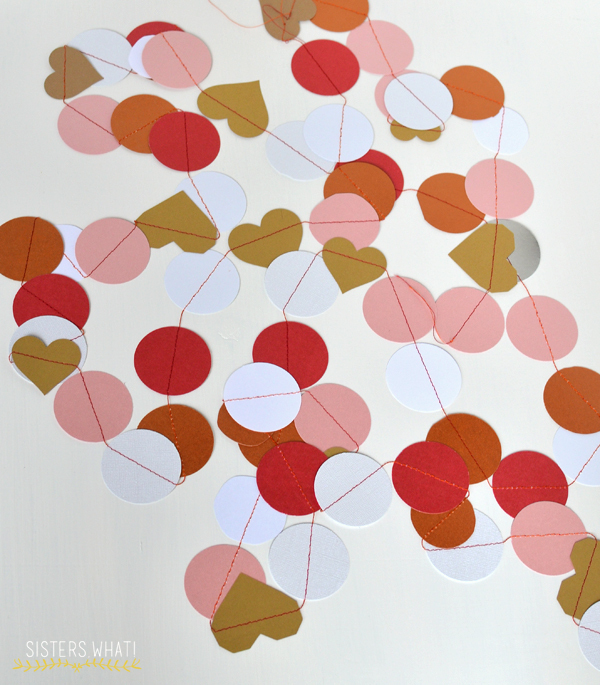 Line up your circles in the pattern you want. 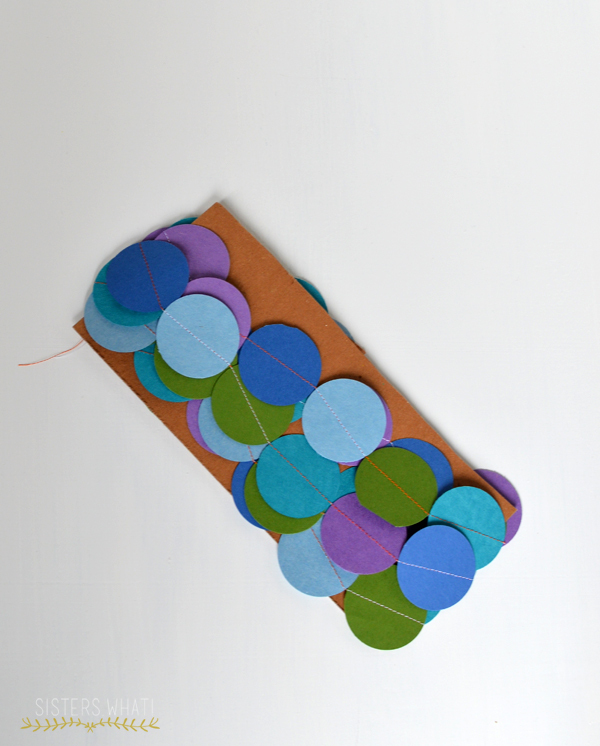 ||2|| Start sewing your circles together, one at a time. That's it. Now go make some for every holiday :). To store, just wrap up around a piece of cardboard. How incredibly cute! I've said it before and I'll keep saying it, I really wish I knew how to use a sewing machine! I love this! Sewing it together is such a great idea! I am going to keep this in mind and probably steal it. These are awesome. And so simple. Well, for crafty people (unlike me). I love this. I love all banners, especially ones with cute little parts. What a cute super fun idea. Very nice. So cute! This will give me an excuse to break out my sewing machine and try to make something that I won't ruin. Haha. Simple and beautiful! I like the colors too. Thanks Lauren, steal right ahead. Thank you! I know, something about little things : ). I love this idea! 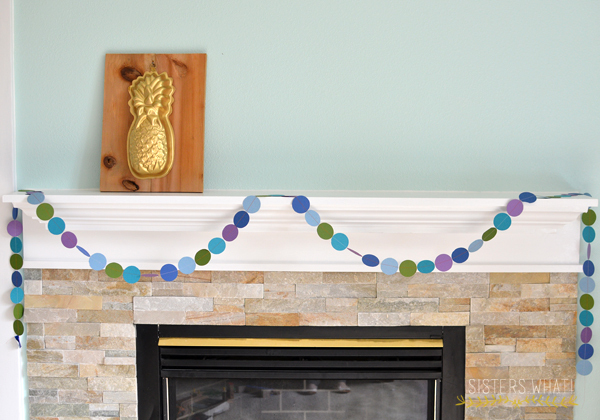 I've seen these garlands in Etsy shop before, but didn't realize how easy they are to make myself. 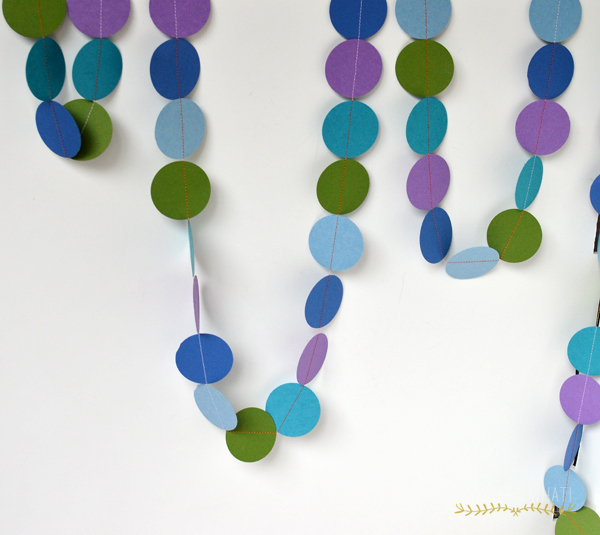 I might need to find a way to use these adorable garlands in my wedding decor... 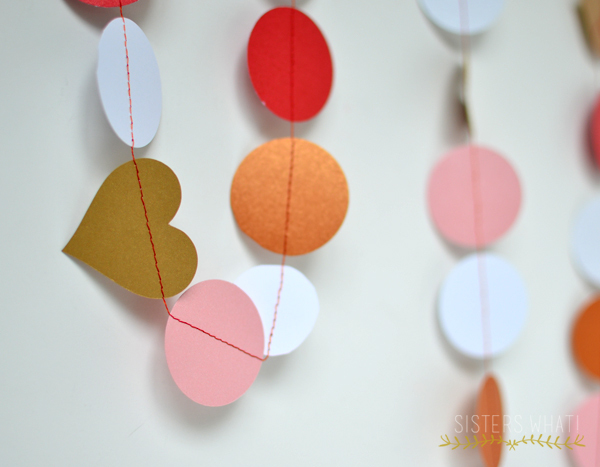 Thanks for sharing this tutorial with Hump Day Happenings! Cute! I need a sewing machine so I can do something like this.